ICC School is now closed for Eid Ul Fitr holidays. It will re-open on Monday 18th June. For a full list of term dates click on the link here which takes you to the ICC School Page. Just a reminder that ICC School is closed today due to the Bank Holiday. School will re-open tomorrow (Tues 29th May) Insha-Allah. 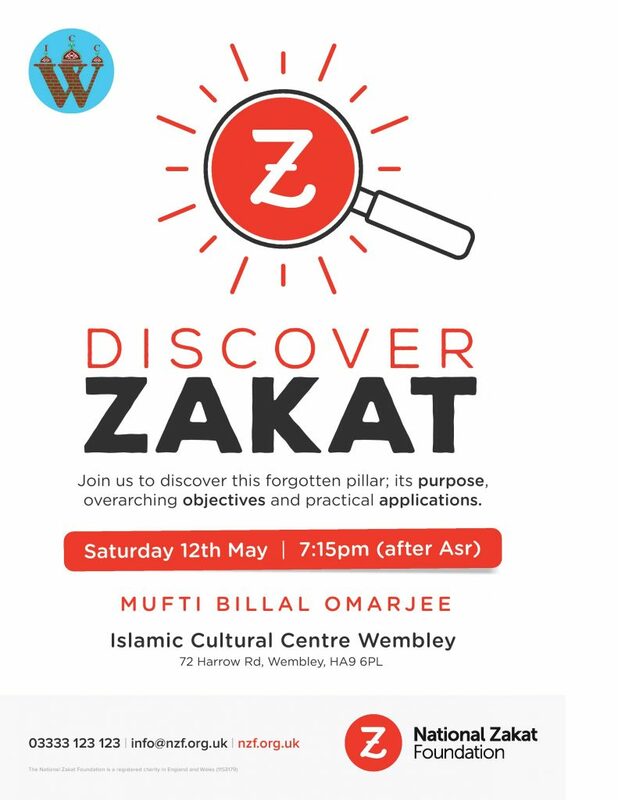 There will be a seminar on Zakat this Saturday (12th May) run by The National Zakat Foundation. Please attend and invite others as it will be beneficial. 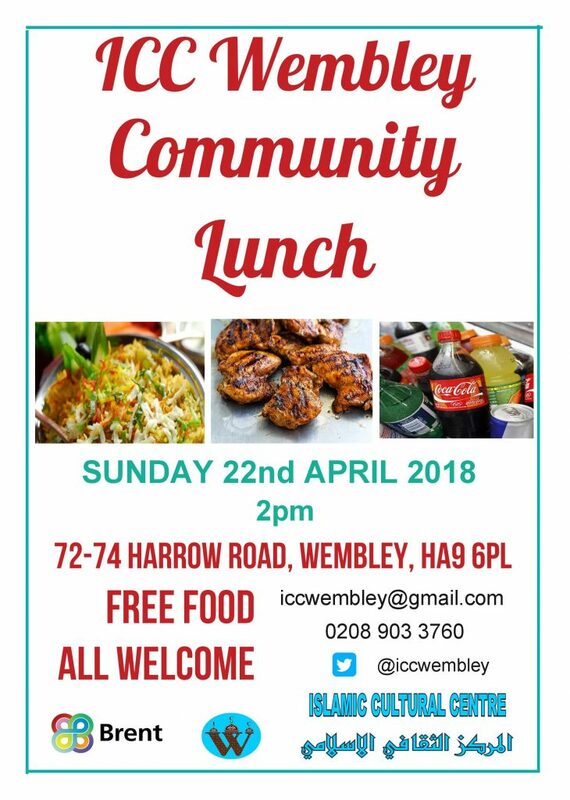 ICC Wembley will be hosting a Community Lunch for all members of the local community on Sunday 22nd April at 2pm. Please try and attend, spread the word and bring others as well. ICC School will be closed for holidays from Friday 30th March until Friday 13th April. We will re-open as usual on Monday 16th April Insha-Allah. Please refer to the term planner on the website for further details on term dates. Insha’Allah Shaykh Abdul Majid Iltaf will be giving an important and beneficial talk after Maghrib Salah on Sunday 11th February. Aqeeqah food will also be served after the programme. 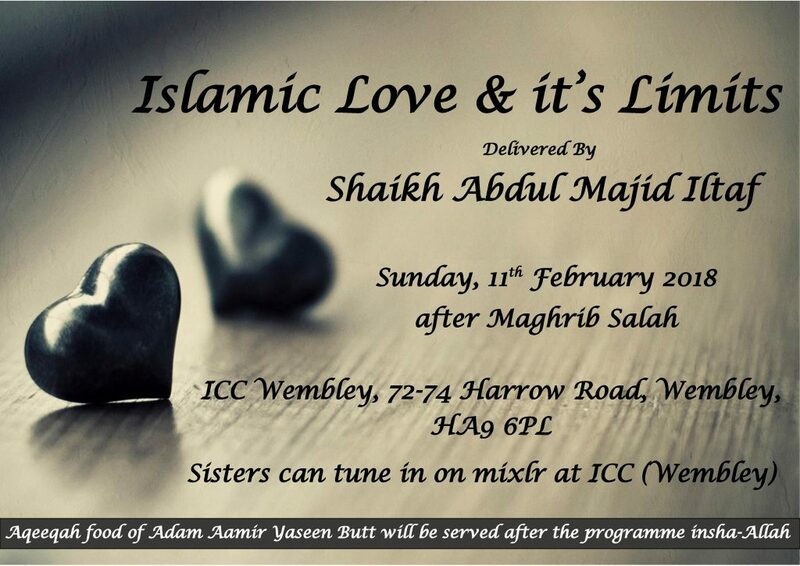 Brothers are requested to participate and also invite others to benefit from Shaykh’s words of wisdom. Insha-Allah on Thursday 21st December it will be the ICC School annual presentation ceremony. Parents are kindly invited to attend. The new term will begin on Wednesday 3rd January 2018 Insha-Allah.